Only the real stuff, gold or platinum with diamonds in brilliant and other cuts, pearls, emerald, sapphire, tanzanite, ruby; plus a selection of classy watches oft the premium manufacturers; check also for vintage luxury clothes, bags, pens and other items. or by appointment in our store. 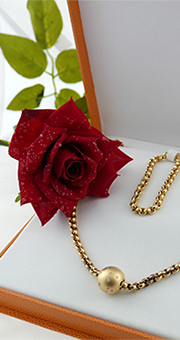 eBay goods can also be viewed on site by prior arrangement.